Christoph SahleA taxi in NYC. The ability to hail a taxi from your smartphone is probably in the immediate future for New Yorkers. NYC has been testing e-hailing so passengers can more easily retrieve a taxi. The city recently received the green light from an appeals court to keep moving forward. 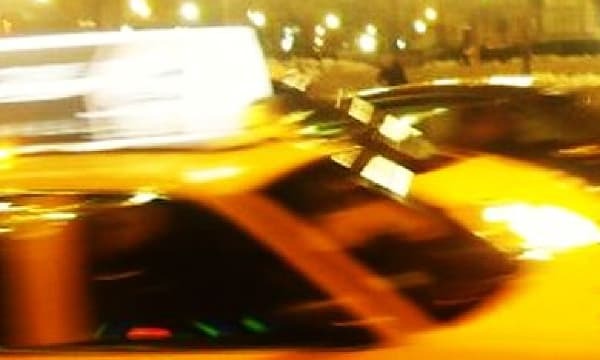 A pre-arranged ride has been traditionally prohibited for NYC yellow taxis. When the city began developing the e-hailing system, car services sued, citing that they rely on pre-arranged rides for their income and that the new developments are unfair to their business. This ruling from the appeals court means city taxis are one step closer to being at your beck and call, even if you’re deep into Brooklyn and there isn’t a yellow taxi in sight. The buzz about Brooklyn has been building for years and while newbies to the borough keep moving in and exploring, some lesser-known things to see in Brooklyn remain just that. Iconic Brooklyn is wonderful –- Prospect Park, Brooklyn Bridge, Coney Island and the like. But these lesser-known Brooklyn destinations are certainly worth the trek. 1. Green-Wood Cemetery, in Greenwood Heights, where you’ll see a large colony of wild monk parakeets living in the Gothic entrance gate. 2. Masstransiscope, the tunnel from the Dekalb Station to Manhattan is outfitted with panels that seem to make the wall come alive as you’re passing by if you’re looking. 3. Mosaic House, in Cobble Hill, where you can gaze upon a house completely decorated in mosaic art on its first floor. 4. Sunset Park in Sunset Park, where you can take in one of the best views around of not only Manhattan, but Downtown Brooklyn and the Statue of Liberty. 5. Floyd Bennet Field, near Marine Park, where you can explore New York City’s first airport in its current abandoned and eerie state. By now, some of you might have figured out my slight fascination with the history of public transportation systems. I highlighted the Washington, D.C. Metro’s opening day last month, and decided to scrounge up a photo from the New York Subway system to carry the theme forward. 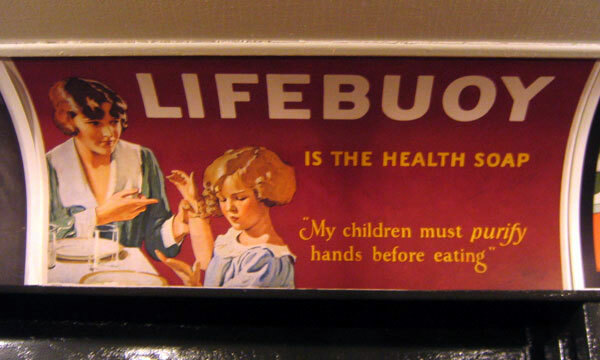 This shot is one of a few old advertisements found on the New York Subway from decades ago.